Snickers Clothing have designed a new range of wicking T-shirts designed A classic in dry and fresh working comfort. 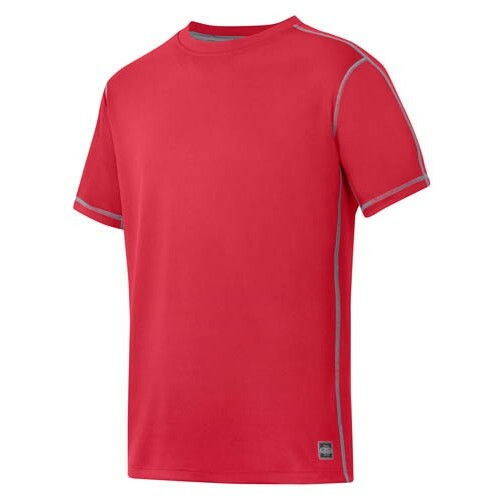 Light and stretchy T-shirt in highly functional breathable fabric for reliable moisture transport in the heat. Ideal for proﬁling. Material: 100% breathable A.V.S. Polyester, 140 g/m2 with anti-odour treatment.